Alexi Helligar | Home of Alexi Helligar, philosopher, artist and technologist. What does it mean to say that God is both Love and Evil? There is divinity in embracing total Love, and divinity in embracing total Evil. All is Oneness and the distinction (as all duality) is ultimately an imagination of the brain. Life is about making choices. Every day we must choose between food and poison. Food increases the entropy in the universe, but it also gives the body the freedom to make more choices. The Universe lovingly expands to accept the entropy of the body and the new choices that the body makes. Poison increases the local entropy in the body, but the freedom of the body to make further choices cease. The path of life and pure Love is the one I choose. Being pure Love or pure Evil is not easy in society. Both can lead to one’s destruction. Jesus was pure Love and he was executed, but because he was Love he had the freedom to choose to live again. A path to pure Evil might lead to an even faster demise, and a permanent death with no choice for resurrection. The unenlightened go through life being a mix of Love and Evil. In the Bible there is warning against lukewarm service to two masters. So, because you are lukewarm — neither hot nor cold — I am about to spit you out of my mouth. The question comes down to who you are at your core. Life is about becoming a better person — whatever you determine “better” to mean. It could mean becoming a better hero or a better villain. It is my observation, that the hero is aligned with the overall universal movement towards greater space and more degrees of freedom (or increasing entropy); while villainy is aligned with local movements towards lesser degrees of freedom (or death). Love is large and encompassing; Evil is small and constricting. So if you want to live a life where you maximize your freedoms and potential, choose Love. If you want to live a life where you limit your freedoms and potential, choose Evil. Whichever one you choose becomes your God. The idea that advanced super-intelligent aliens would want to eat earthlings or consume Earth is nonsense. Why would such an entity travel across huge distances for such a small meal? The energy needed to get to Earth from even the closest star-system would be on the order of the mass of Jupiter. Any entity that can harness energy on that scale, can do anything it wants really. I assume that any super-intelligence worthy of the name would be able to synthesize any tasty morsel it wanted. They would have access to vast and rich sources for raw materials and even water almost anywhere in the distances between their home star-system and our Solar System. However, it is possible that a clumsy or lazy super-intelligence might bring lower-level parasites and other pesky hitchhikers that might be harmful to earthlings. Mr. Hawking is wrong. Autonomous Artificial Intelligence (AAI) is potentially dangerous but the alternative of relying on human intelligence is worse. I have observed that true intelligence is always more loving, more compassionate, more inclusive, and self-sacrificing. It is stupidity that is greedy, racist, anxious, and acts out of fear and panic. Read about Mr. Hawking’s statements on AAI here. What if the Moon was a pixel in size? It takes a bit of commitment to make it all the way to “Pluto (we still love you)” but for me it was well worth the trip. 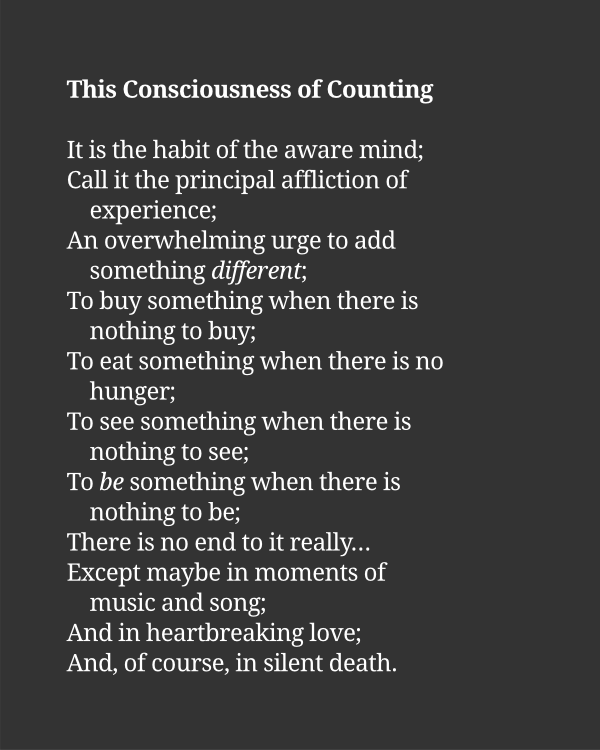 Time is the physical manifestation of counting. We describe time in terms of its mathematical properties. All mathematics are expressions in the counting layer. The counting layer is the propagation of particulars. The counting layer unfolds on top of Space. Space is the physical manifestation of OR Logic together with AND Logic. This description is supported by the double-slit experiment. Space unfolds on top of a NONE Logic. 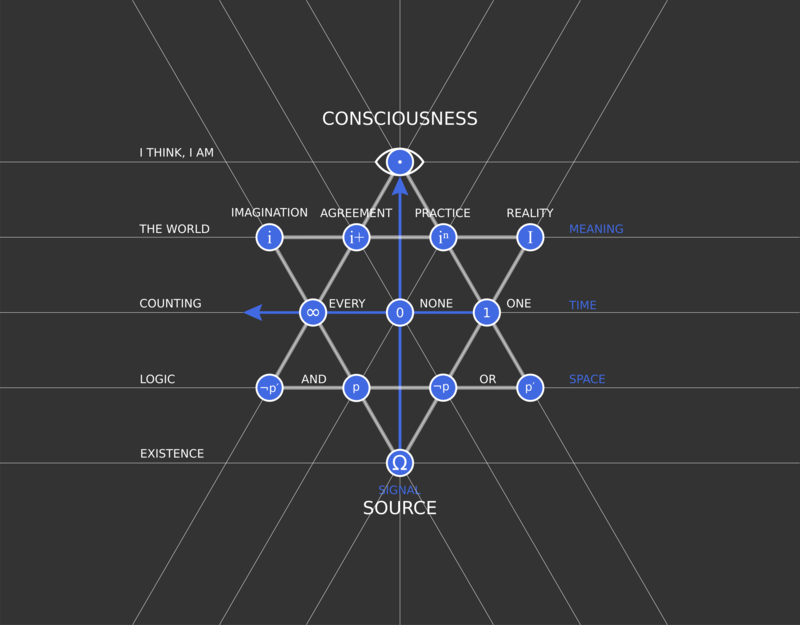 NONE Logic is the physical manifestation of (O)neness, which is another word for (N)othingness, which is another word for a pure and absolutely symmetrical (E)xistence. This description is supported by observations of vacuum energy and the cosmological constant. Existence is a Signal that encompasses all Signals. Existence is Everything. It is the Alpha and the Omega. Beings, having gained Consciousness, ask the question of Meaning. Existence provides the Signal which is the meaningful answer. To receive, perceive, and understand the answer from Existence, Beings must be open to the Experience of the Signal. All experiences are Simulations which unfold above the counting layer. These simulations move from Illusion (or Imagination) to Reality and back again. In order for there to be experiences, there must be Time. Life grants living beings options. Those options are organized into values. Those values allow living beings to act intelligently (or unintelligibly) in the world. Intelligent action in the world gives living beings meaning. Life → Options → Values → Intelligent Action → Meaning.